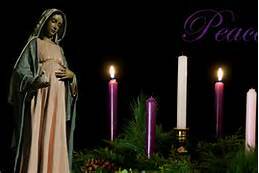 I can’t help but think of the first Advent while Mama Mary was waiting in silence for her Child to enter into the world. “Let it be done according to your word”, the “yes” for all time, bringing true Peace to earth. Peace that has never been known since the fall of man.